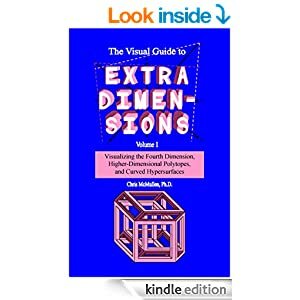 I published the first volume of The Visual Guide to Extra Dimensions in August, 2008. It’s taken six years to put this on Kindle. These two books are quite sentimental to me. I had put years of effort into perfecting Volume 1 and was shopping it around to academic publishers without being able to persuade them to look further than my curriculum vita, when I discovered CreateSpace. For the first six months, I had sold just a few copies per month. At the beginning of 2009, I had really begun to doubt my decision to self-publish. 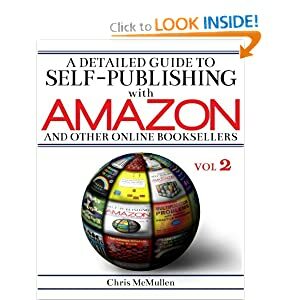 But I continued to edit and format Volume 2, thinking that I needed to perfect it whether I continued the self-publishing route or went on another hunt for a publisher. In March, 2009, I published Volume 2, and suddenly both volumes took off with a bang. Both volumes were ranked around 5000 overall for much of March. 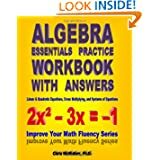 These have long ceased to be my better selling books, but the success of these two volumes gave me the confidence to publish my Improve Your Math Fluency series and other books. I’ve now had several books sell quite well at one time or another, and some books that have held pretty steady. I no longer question my decision to self-publish. Instead, I look back, thinking how close I had come to abandoning my self-publishing dream, very glad that I didn’t. It’s funny how being a spokesperson for DIY publishing probably gave you the little extra incentive to keep poking and pulling at this annoying problem – and I’m very glad to see you found the solution WITHOUT giving up. Kudos – and many happy sales.